After long wait, the Bhartiya Janta Party has named Jamyang Tsering Namgyal as their candidate for the Ladakh Lok Sabha Constituency. Ladakh goes to polls in the sixth phase in first week of May. 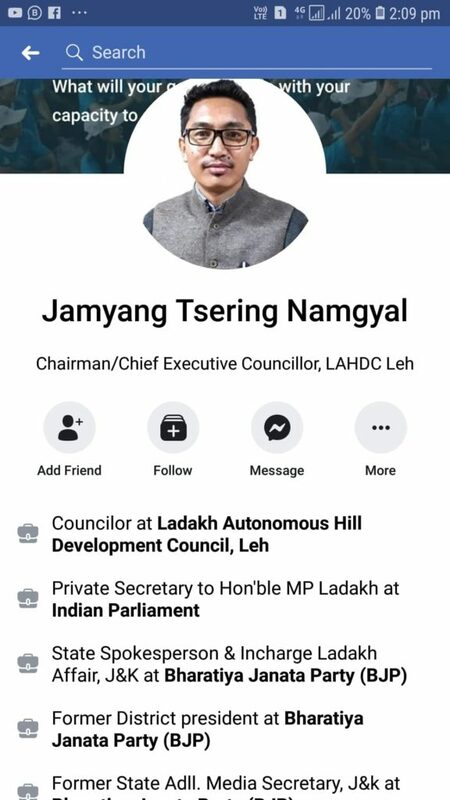 Jamyang is the current Chief Executive Councilor of Ladakh Autonomous Hill Development Council. Considered a favourite of the Sangh, he took over as CEC a few months ago following mass revolt in Ladakh unit of BJP as a part of which the then CEC Dorjey Mottup, aka DM, had also resigned. At one point, Jamyang has worked as Private Secretary to Thupstan Chhewang, the former MP from Ladakh. He has this entry intact on his Facebook profile. 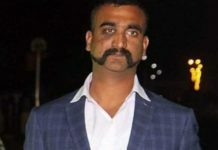 Chhewang was elected to the Lok Sabha in 2014 on BJP mandate but he resigned last year as part of mass revolt against the party. While DM continues to be a BJP member, Chhewang had resigned from the party as well. During early years of Chhewang as MP, Jamyang was his Private Secretary. 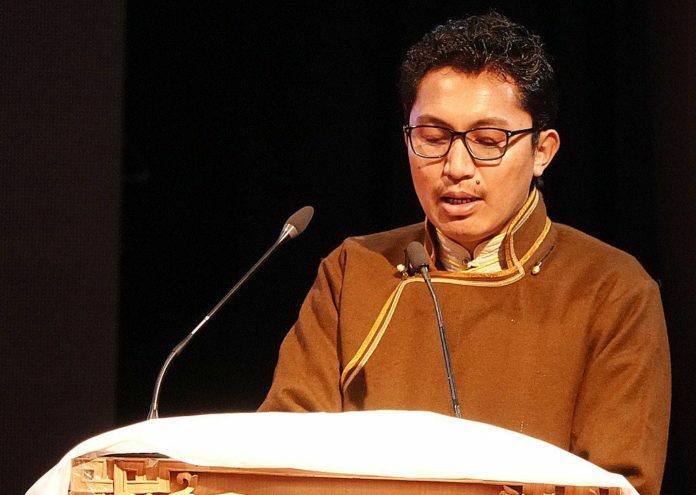 Jamyang faces an uphill task in Ladakh the Buddhist community in Leh is mulling over launching an independent candidate against BJP and Congress. Even as Jamyang’s candidature is on expected lines for his close proximity to the RSS but the political observers were a little surprised at BJP’s preference to ideology over winnaability. The whole political narrative in Ladakh at this point is about the alleged RSS influence over the Buddhist culture, something the local community is seeing to resist at political and cultural level.